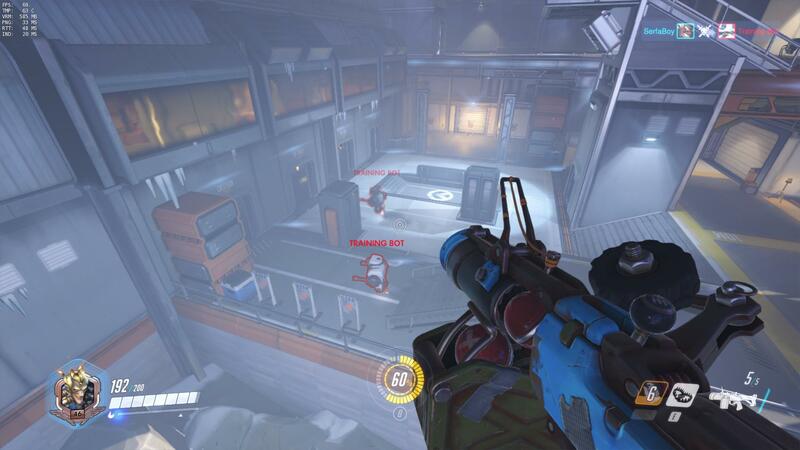 The best place to start your Overwatch career is by playing the Practice Range, which is found under Training in the main menu. This mode is different from the Tutorial as it drops you straight into an arena populated with robots. If you’re familiar with shooters, you will definitely want to skip the standard Tutorial, as it just shows you how to move by using the WASD keys and how to shoot by using the mouse. Fairly simple things if you’ve ever heard the term “FPS”, but if you’ve never played a shooter before, then the Tutorial will be everything you need. Jump into the Training and start working through each of the heroes. Jump around, use their weapons and abilities and see how they move. This will at least help you understand what each hero can do. Try to play each hero at least once and use their Ultimate at least once. After you’ve spent some time familiarizing yourself with the heroes, jump into a Quick Match. Deciding what hero you want to play in Overwatch can be daunting. Here’s a quick tip, only use a Defense hero when you’re defending. Likewise, try not to flood your team with too many Offense heroes when you’re defending. 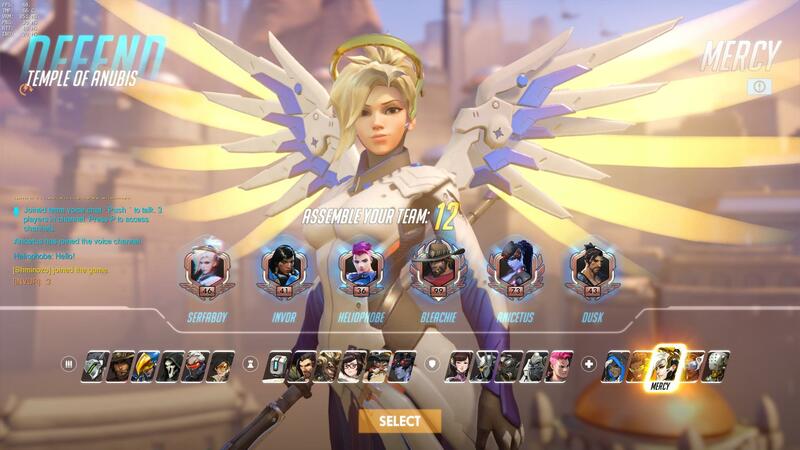 In Overwatch, as you’re preparing your team, the game will actively tell you if you have too many of one hero class and not enough of another. If you see the game telling you there are too many tanks, try using an Offense hero! Roadhog and Junkrat are two heroes who are fun and easy for new players to use. Roadhog has a lot of health and can heal himself, plus he has a hook which is extremely satisfying to use! Junkrat on the other hand can dish out a lot of damage and hop around the map really quickly. You’ll most likely note that Junkrat goes against the above tip as he’s a Defense hero who can work well when attacking. Choosing a hero is about reading a situation and knowing when to swap. One great thing about Overwatch is that you can switch heroes mid-game. Not enjoying playing as Hanzo? Swap out to someone else! Now that you know which hero you want to use, it’s time to jump into your first Quick Match. Your first match is going to be messy, but it’s also going to be a lot of fun. Try to play with some friends, as they’ll help point you in the right direction. Failing that, follow around someone else and watch what they do. Stick with your team and try to push onto the objective as a unit. Don’t be afraid to die in Overwatch! Unlike other shooters, dying in Overwatch when you first start playing isn’t as big a deal as it is in other shooters. Be a team player. If you see that your team doesn’t have a Support hero, bite the bullet and choose one of the Support heroes. Though, when you first start out, it’s a good idea to avoid playing Ana. Mercy or Lucio are great Support heroes who are easy to play and help the team a lot. 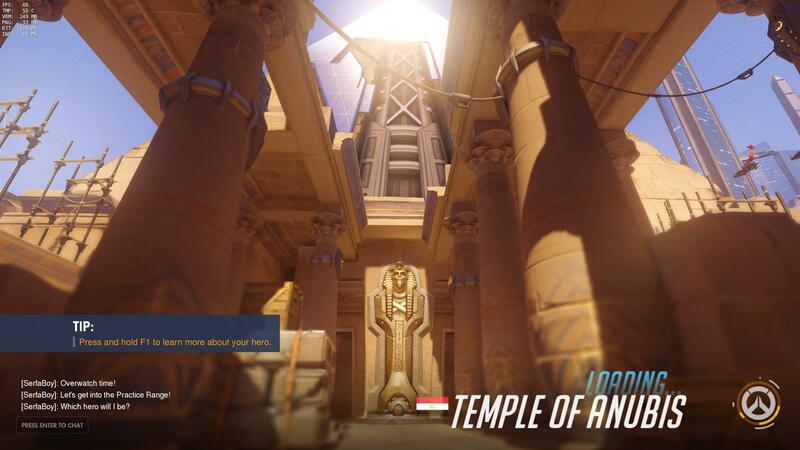 Each map is used for a different game mode, so you won’t be playing two different game modes on a single map. For instance, Hollywood is only ever a Capture point followed by a Payload, while Route 66 is only ever a Payload. Knowing the map you’re about to play on can help you make an educated decision on what hero to use. Below are each of the maps and their assigned game mode. Lucio is highly beneficial for your team on maps like Ilios, Nepal, and Lijiang Tower. Pick Lucio if no one else has and get ready to use his speed boost to help get your team to the center first. Overwatch Stick with your team! Overwatch can be fun even without winning, but if we’re being realistic, everyone wants to win. First of all, the best way to ensure you win a match of Overwatch is to remain calm. Losing your cool is a sure-fire way to lose the match, so keep a level-head and regroup. Secondly, play as a team! Stick with your teammates and back them up on kills. Use the callout wheel to let them know when you’re attacking or when you’d like them to group up on you. Pressing the “C” key on PC and using your Mouse will let you select a notification. Another good idea is to pick a hero that will supplement your team. Your team has no Support hero? Pick a Support and stick with an Offense hero as they run around getting kills. You might not be getting kills but you will definitely be helping your team. If there is no tank on your team you should pick Reinhardt and help push with your shield up. Reinhardt is, after all, one of the most powerful heroes in Overwatch at the moment! Most importantly, and this relates to the first point, just have fun. Overwatch isn’t as serious as other games. It’s meant to be enjoyed and not taken too seriously. Each time you level up you’ll be rewarded with one of Overwatch’s iconic Loot Boxes. These boxes contain four random items of varying rarity: Common, Rare, Epic, and Legendary. You have just as much chance of getting a Legendary on your first Loot Box as you do on your 100th. These items are purely cosmetic and include: voice lines, hero skins, sprays, animations, emotes, and more. You can also earn Gold from Loot Boxes which you can put toward a purchase. Anytime you receive an item you already own, instead of getting a duplicate, you will instead be rewarded with a stack of Gold. So even duplicates are rewarding! It is a good idea to save up a small pile of Gold for when you know which hero is your favorite. Once you have your favorite, check out the Hero Gallery where you can purchase any of the Hero’s cosmetic items. 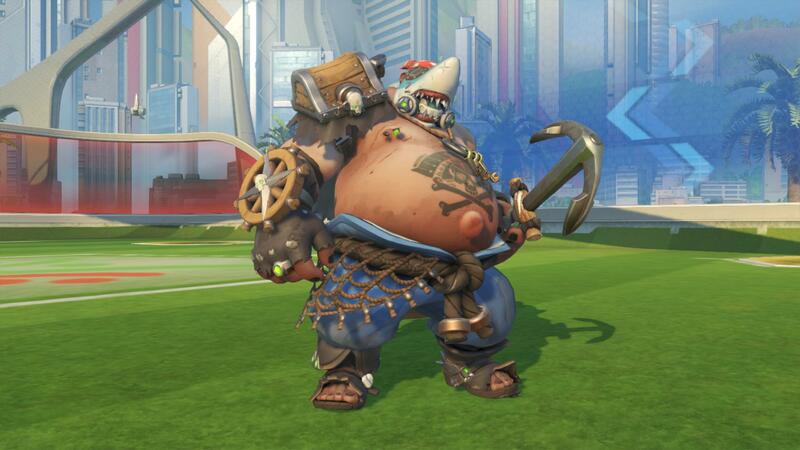 I’m personally thinking of picking up the Mako skin for Roadhog! That’s everything you need to know to get started playing Overwatch! 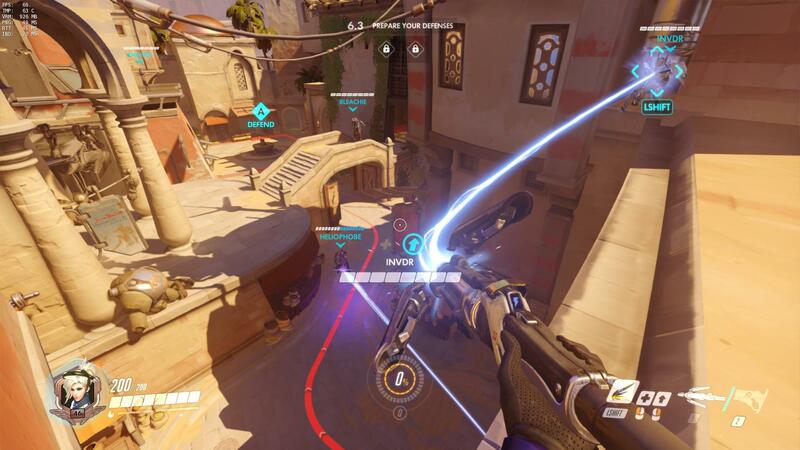 What tips do you think we should include in our top tips for new Overwatch players?